This membership is open to licensed dentists and dental hygienists. 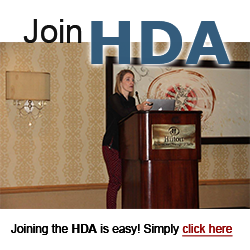 As a professional member you are granted full access to the HDA member area, a listing on our online database (“Find a Holistic Dentist”), and discounts on purchases. Affiliate members are health practitioners in fields other than dentistry, who work in conjunction with holistic dentists (such as massage therapists, naturopaths, chiropractors, D.O.s, or others who make referrals to holistic dentists), or are interested in the field of holistic dentistry. Affiliate Members share the same benefits as Professional Members. This membership is for support persons in the dental field (such as front office staff or anyone who works in a dental practice but does not meet the criteria for a Professional Membership with the HDA). As an associate member you will have full access to the member area. This type of membership does not provide discounts on merchandise or a listing in the online database. This membership level is open to retired dentists and dental hygienists who are still interested in staying involved with the Holistic Dental Association. This membership level does not provide a listing in the online database. This membership level is open to dental students who are attending an accredited dental program in the U.S. or abroad. Student must be taking a minimum of 12 units per semester to qualify. This membership level does not provide a listing in the online database.